There is one basic rule that applies to all dress shirt collars, and that is to choose the collar that is the opposite shape of your face. If you have a round face, choose a collar with longer points (straight, button down, or tab). The same is true for men with square faces. On the other hand, if you have a sharp, angular face, choose a spread collar or another type of wide collar style. Men with oval faces can wear nearly any collar style they choose. The overall purpose of this guideline is to create balanced proportions, which in fashion is considered to be the ultimate harmony. Also known as the Point Collar, the Straight Collar is generally considered the most versatile, easy to wear collar style. It is situated somewhere in the middle of the formality scale, neither overly casual nor formal. A Straight Collar dress shirt should generally be worn with a tie; accordingly, it works best when combined with the most versatile tie knot, the Four-in-Hand. Our most popular collar style, the Button Down Collar features points secured to the dress shirt body by small buttons. It was originally introduced in the 19th century for the use of polo players, who needed a way to keep their collars in place during the game. Due to its heritage, this collar is considered to be a sporty look. Button Down Collars are generally worn with the ubiquitous Four-in-Hand knot, although it is the most casual collar style and can be worn without a tie. There are multiple variations of the Spread Collar, six of which we’ll briefly touch on now. 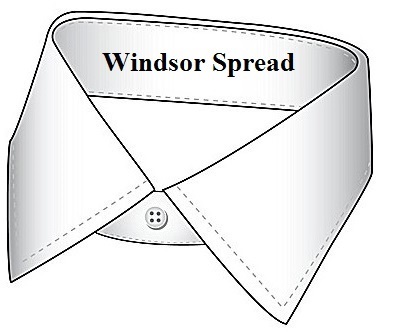 One of the most prominent is the Windsor Spread Collar. In comparison to the Straight Collar, it has shorter collar points and a wider gap. Overall, it’s a traditional, formal collar that is quite versatile. 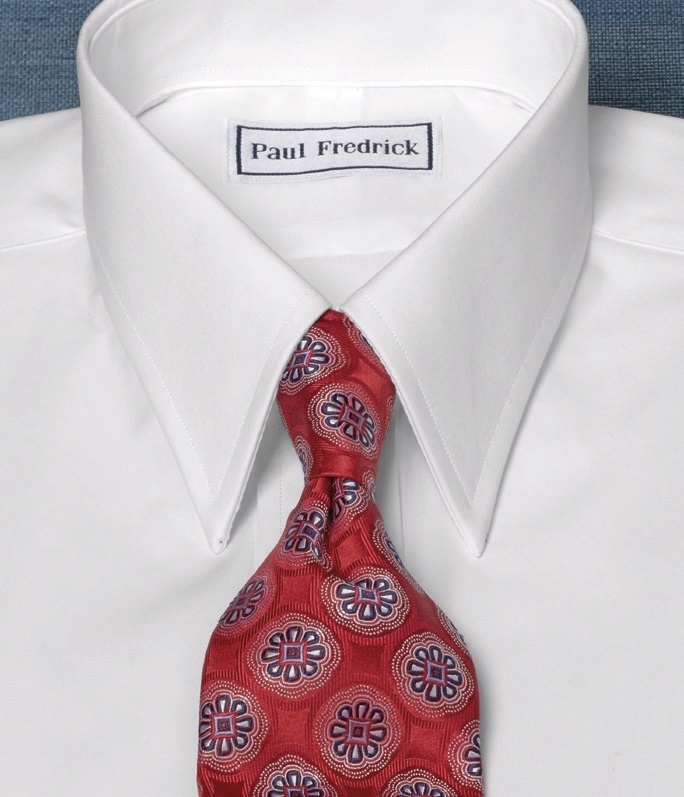 The Windsor Spread Collar works best with bulkier tie knots like the Windsor or Half Windsor. 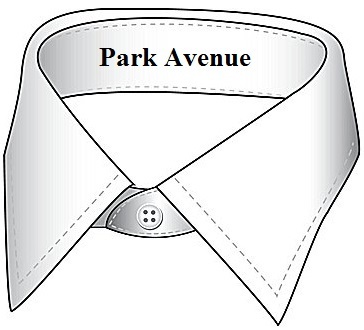 The Park Avenue Spread Collar is similar but does not have as wide of a spread as the Windsor; it’s a nice compromise between a straight and a spread collar. It works best with the Half Windsor tie knot. 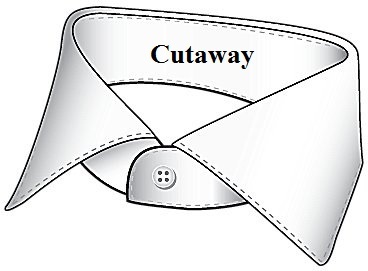 Another favorite is the Cutaway Spread Collar. It is the widest spread and creates an almost horizontal stance. The purpose of the Cutaway Collar is to showcase the necktie, so we highly recommend wearing one to take full advantage of this style. A bulkier tie knot like the Windsor or Half Windsor would be the preferred option. 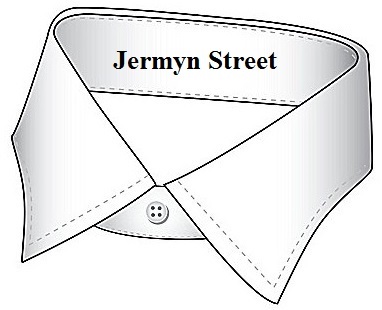 Named after the London birthplace of contemporary men’s fashion, the Jermyn Street Collar is a type of spread collar with slightly shorter points than the Windsor Spread and a very slightly curved shape. Based on a traditional British look, the Jermyn Street Collar is quite fashionable nowadays and can be worn with a tie – we suggest the Windsor Knot – or without, depending upon the desired degree of formality. Though not seen as often as the previous three types, the Tab Collar has recently experienced a surge in popularity thanks to its appearance in the latest Bond movie as well as a renewed interest in classic, old-world styles. The Tab Collar features a snap or button on the points that secures them in the correct position, thus keeping the tie impeccably displayed. 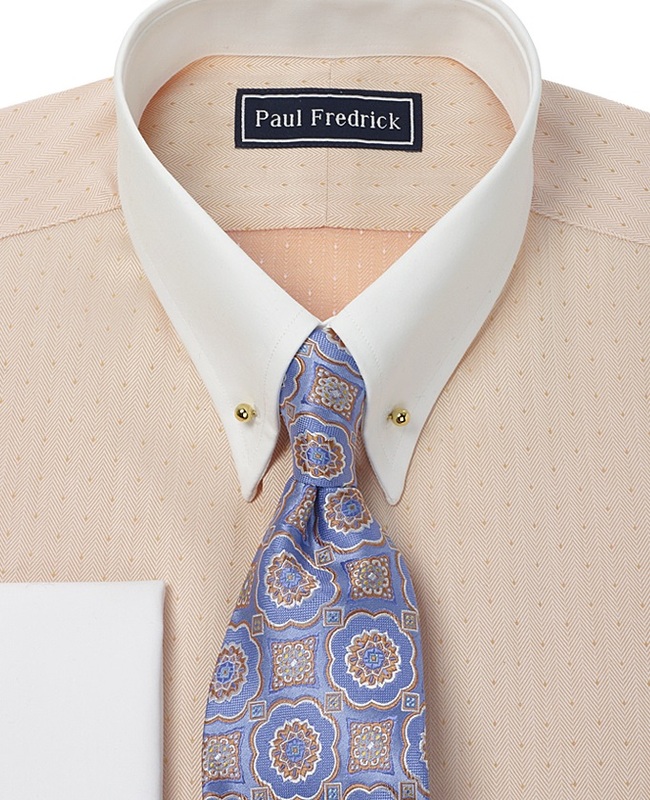 Since the very purpose of the Tab Collar is to frame the necktie, this style must be worn with one. 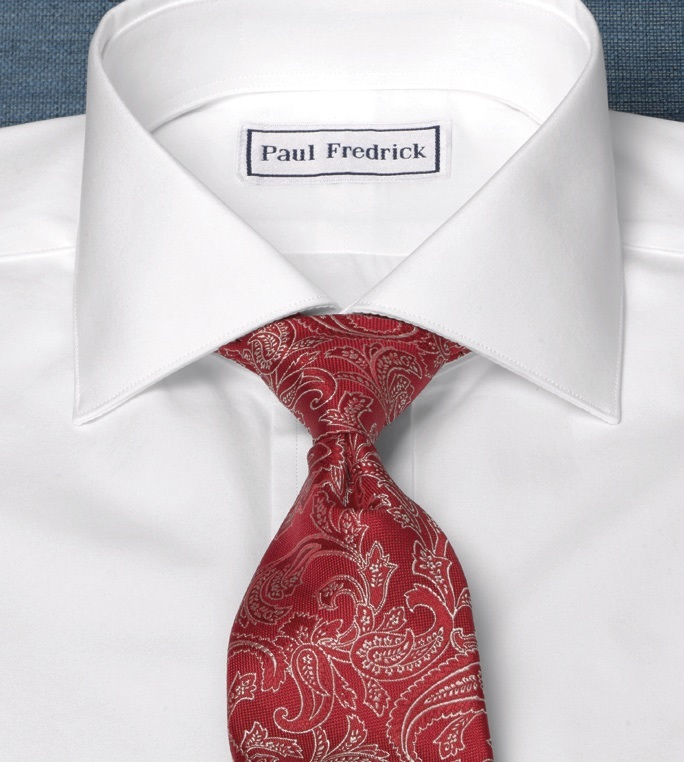 A Four-In-Hand knot will maintain the refined appearance you’ve created here. Another even more rare type of tab collar is the Eyelet Collar; instead of a snap or a button holding the collar points in place, the Eyelet Collar utilizes a collar pin that the wearer installs. This style in particular is especially steeped in history, as it is reminiscent of the Jazz Age and what some feel was the most fashionable era of menswear to date. One should always wear the Eyelet Collar with a tie for the same reasons we mentioned above. Menswear can be a contentious and perplexing topic; however, we hope that the differentiation and purposes of various collar types has now been made somewhat clearer. Looking for our newest post about which dress shirt collar you should choose? Find it here: How to Pick the Best Dress Shirt Collar for You. What about the club collar? Very British – looks very elegant with a suit. An off-white tab collar can make a sport coat very natty. Club collars were offered just four or five years ago…now they are all but gone. Whyso? I love the eyelet collars. 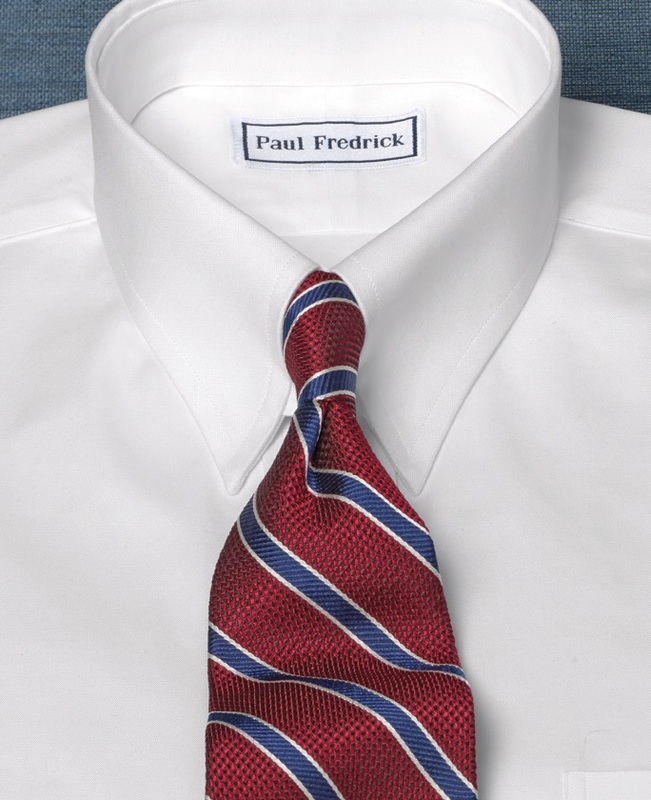 I wish Paul Fredrick would make more of these available in a variety of colors, and of course, wrinkle free. Thank you both for taking time to provide us with your feedback, Joseph and Kevin! We always strive to offer our customers the best in style, comfort, fit and value. In order to maintain those principles we continually reevaluate our offerings. Your comments have been forwarded to our Merchandising Department and we will definitely take these suggestions into consideration when creating future dress shirt collections.